Welcome to Key Largo's ISLAND SMOKE SHOP, the largest cigar shop in South Florida, and exclusive factory outlet for the award winning EL ORIGINAL line of cigars! 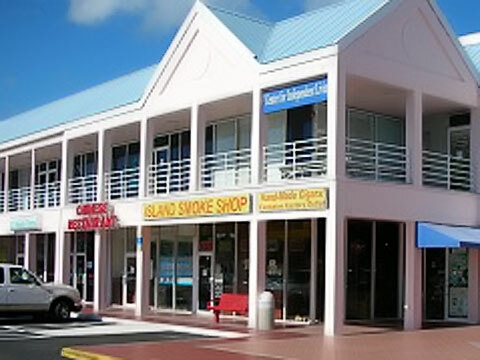 We're proud of our large and friendly retail outlet, with the best selection of cigars in the Keys! Stop in and see us when you visit Key Largo - or on the drive to Key West! And we're proud of our status as one of the smallest cigar manufacturers in the world! Our factory doesn't make millions of cigars per year in some third-world country. Instead, we've chosen to make the world's best cigar (SMOKE Magazine - Winter, 2000) right here in the U.S. - one cigar at a time. Enter our Online Store NOW! -------------------------------------------------------------------------------- Are you on our mailing list? Click Here to be notified of special offers.. Our 6-country blend was developed by the legendary Havana Master, Santiago Cabana, using some of the finest tobaccos available. Cuban tobacco? Who needs it? We've skillfully combined selected leaves from the Dominican Republic, Nicaragua, Honduras, Ecuador, Mexico, and Peru (our secret ingredient) into a blend so rich you'll think you're smoking a Cuban! How do we do it? By employing the best Cuban cigar rollers in the world - right here in the US! Unlike the workers in large factories in third-world countries, our rollers take real pride in their work, and it shows in every cigar. In January 2000, SMOKE Magazine rated 57 different Maduro Cigars (a dark, rich wrapper) from every major manufacturer in the world... Our EL ORIGINAL Toro Maduro received the HIGHEST RATING of ALL Maduro Cigars - including Cubans! . But we haven't stopped there! Taste our premium cigar, the SANTIAGO CABANA. It's back to basics in this new release of an old blend rated "90" by Cigar Aficionado in 1996. You'll taste the sweetness of Dominican Ligero and the earthiness of rich Honduran and Nicaraguan tobaccos, wrapped in a silky and rich wrapper from Ecuador (Claro, Natural) or Mexico (naturally aged Maduro). On a budget? Our full-bodied Coral Reef SHARK blend is a powerhouse of a smoke for as little as $1 each (bundles of 20). Perhaps you're looking for the perfect small cigar? Try our best-selling little cigar (just 4 1/4" X 32), the Coral Reef MINNOWS. We think it's one of the best "quick smokes" on the market today! Stop in and see us when you visit the Florida Keys (we're at mile-marker 103.4 in the Key Largo's "Pink Plaza") and check out our selection of hand-made cigars.